Looking for a Christmas present for your favorite The Lord of the Rings fan? This December 8th in Wien (Vienna), Austria, you can experience Der Herr der Ringe: Die Zwei Turme (The Two Towers) on large projection screen, accompanied by a symphony orchestra and two choirs performing Howard Shore’s Oscar-winning score. 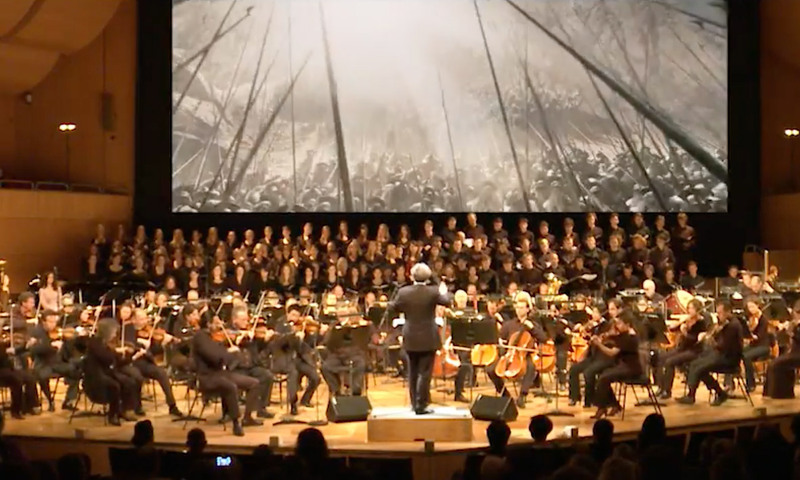 The over 200 musicians and singers, led by David Reitz, include the Pilsen Philharmonic Orchestra, the chorus of Charles University in Prague, the Philharmonic children’s choir of Prague, and soprano soloist Kaitlyn Lusk. See the LS Konzerte website for more information (in German) and ticket information. The website doesn’t say whether the film will be presented in English, with German subtitles, or possibly dubbed. But then some of us seen it enough times that we know the dialogue by heart! If you go, please share your experience with a comment or in the Viggo-Works forum, so those of us who can’t make it can enjoy living vicariously.